Like: Do not say: Eat fats. Make sure to record each certain link which has work individually. However, you should check with Section 512(d)(3) to ensure which you have bundled ample detail in-all 6 pieces of information before you deliver the take down demand. (iv) Incorporate your contact info. You may deliver the notice via e-mail or by snail mail. (ii) Identify that you possess the essay writers online trademark to performs being infringed upon. Reveal all you realize below. Genoa also in season 2013/2014 in Serie A !! Balla did it ! 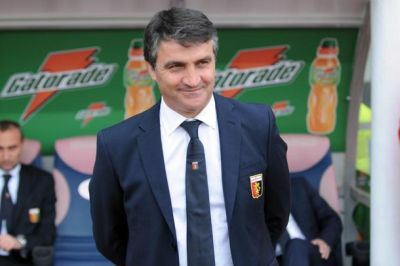 After the defeat at home against Catania on 20th January Ballardini was hired by Mr. Preziosi. 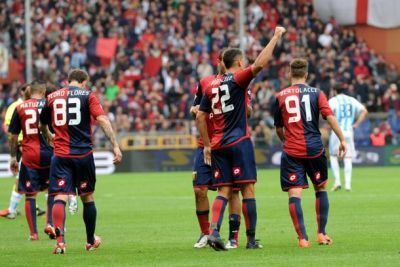 Genoa was on the 18th position in the standings with 17 points in 21 matches. 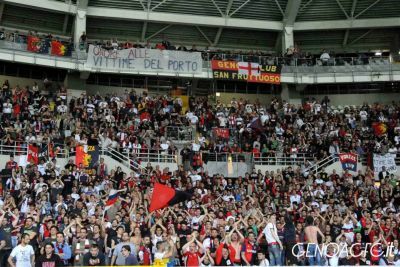 The mission of Ballardini was easy: keep Genoa in Serie A. After the draws at home against Siena, Sampdoria and Atalanta everybody was afraid that Ballardini wouldn’t complete his mission. The match in Verona was the change with a 0-1 victory by a goal of Borriello. With this victory (the first since 17th February) the believe that we could stay in Serie A returned and was confirmed by the 4-1 win against Pescara that was relegated after this match. Because Siena and Palermo lost almost all their matches Genoa now is 1 playround before the end already safe. Mr. Ballardini did a terrific job! The match against Inter ended in a 0-0 draw and the remaining in Serie A because Fiorentina beat Palermo (1-0, Toni) and Siena lost in Catania (3-0). 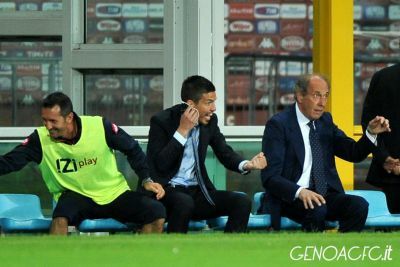 Genoa played a very good first half and was with Borriello (see foto) and Bertolacci a few times close to open the score. In the second half with Palermo already 1-0 down in their match in Florence Genoa was satisfied to keep the draw. With Gradinata Nord singing all 90 minutes the last whistle of referee Tagliavento was the best moment of this season! Mr. Preziosi now has a lot of work to do to construct a team that can play in the left side of the standings. Outside the period of Luigi Delneri Genoa is a team in the middle of Serie A. The remaining in Serie A is very close. Tonight Genoa draw 0-0 in Turin against Torino, but both Palermo (at home against Udinese: 2-3) and Siena (at home against Fiorentina: 0-1) lost their matches. Now Genoa has 36 points, Palermo 32 and Siena 30 with only 2 playrounds to go. Sunday Genoa plays at 12.30 hours in Marassi against Inter that definitively missed European football tonight (1-3 defeat in Giuseppe Meazza against Lazio), Palermo plays in Florence against Fiorentina (that is still in the race with Milan to reach Champions League) and Siena plays in Napoli the definitive number 2 this season. Our most important match of the year was the title in the newspapers in Liguria to the match Genoa-Pescara. Of course the match was important because both Siena and Palermo had difficult away-matches so this was the chance to Genoa to finally leave the relegation-zone. Usually the team stays together from Saturday-evening 7 o’clock but this time the players were already together from Friday-evening. Genoa still missed Kucka, Olivera and Rossi in midfield. Just as the last half an hour last week in Verona we started with Borriello and Floro Flores as strickers and Bertolacci just behind them. In the 19th minute a freekick of Matuzalem was a little to hard, but just before the backline Manfredini headed the ball back before the goal and Floro Flores headed it behind goalkeeper Mattia Perin : 1-0. In the 30th minute Marco Borriello scored a fantastic goal with a hard shot from outside the corner of the penaltyarea high near the second post: 2-0. Finally we all hoped that the last hour of the match would be very relaxed, but 6 minutes later Giuseppe Sculli headed 2-1 behind Sabastien Frey. Of course our ex-player immediately excused himself to Gradinata Nord for the goal. Halftime: 2-1. 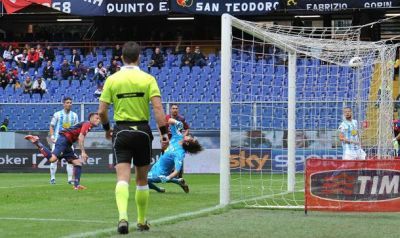 In the second half Genoa decided the match within 25 minutes. After 9 minutes Marco Borriello scored his 12th goal of the season and 16 minutes later Andrea Bertolacci scored 4-1. Because Siena (3-0 in Catania) and Palermo (1-0 against Juve) lost their matches it was a perfect Sunday for Mr. Ballardini and the team. Wednesday we play again, this time in the Olympic stadium of Turin against Torino which has 36 points, just 1 more than our Rossoblu-team. Another victory means that we have 4 teams below us. 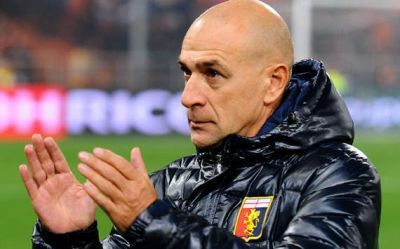 Forza Genoa!